Note: Forgive me for being a day late on this one, I am having way too much fun in San Juan, but I give you a big bava promise this won’t happen again. Back in the early 80s I got the Star Frontiers role playing game for Christmas—was it 1983?—and I was already pretty deep into Ad&D, so the whole concept fascinated me to no end. 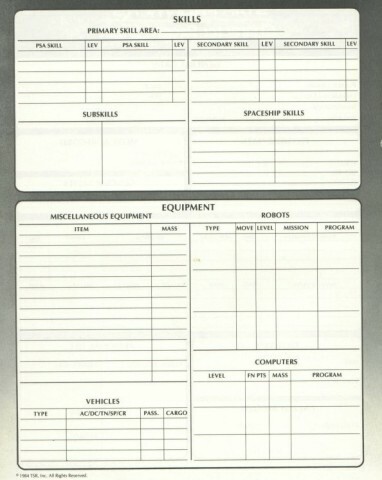 The idea of D&D in outterspace was compelling on an imaginative level. But, alas, it never got much beyond that. I read through the manuals, and tripped out on the whole sapient races idea (something the US still can’t wrap its head around) and had a lot of fun with thinking about the amoeda-like Dralasites or the ape-link Yazirians or the insect-like Vrusks, but truth be told, I was really just taken by the cover art of the main manual. I would stare at that picture and imagine I was playing the game, and even pretend to others I was a fan, but I never played it. I just imagined I had, and for that reason alone it remains on of my favorites. For we all know that the imagining of a thing is far better than the thing itself. 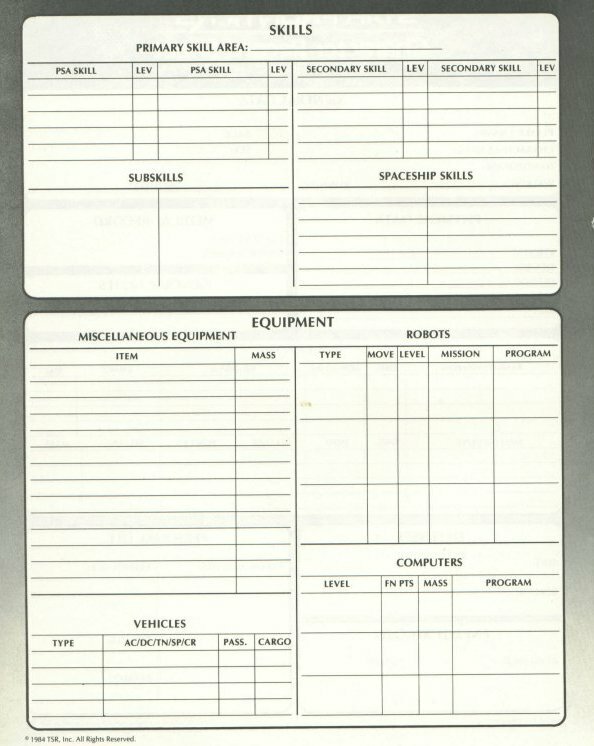 And, what’s more, I was rather disappointed with the character skills sheet that was not nearly as cool as AD&D’s breakdown of all kinds of qualities and characteristics. Additionally, the whole game was only played with one 10-sided dice, which kinda limited my fascination with the whole dice element of D&D. 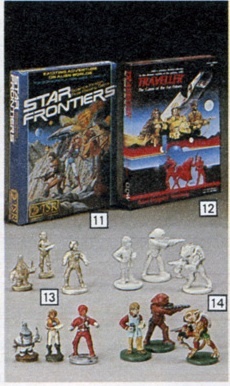 This entry was posted in 1102xmaS and tagged 1102xmaS, Star Frontiers, toys. Bookmark the permalink. Dude, you just made my day. I had this game way back when and thought it was such an awesome idea. The execution, as you say, wasn’t all that great, but I remember really loving looking at the pictures and reading through the manual. Awesome! I love it! This was a special art, and in retrospect it isn’t necessarily great from an aesthetic perspective, but for some reason I still carry that image around with me on a regular basis. I too had this game. 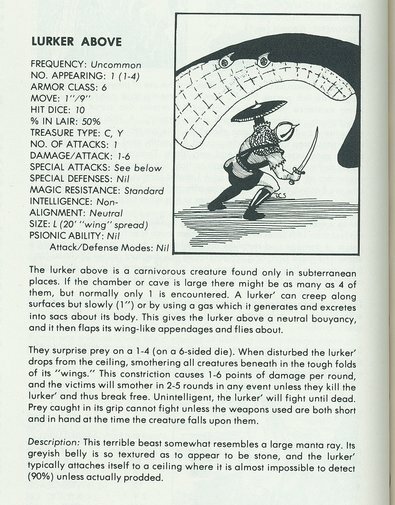 DnD in space? That was enough to get my brain burning. I would spend hours and hours of days and months planning out spaceship designs, designing dossiers of all her crew. Rarely actually played it, though. 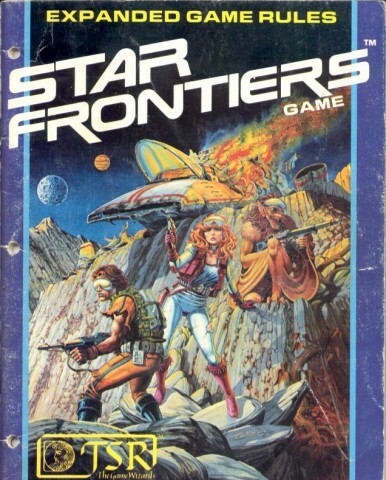 It was the same way with the other RPGs I had, DnD and the Star Trek RPG. Although with the star trek RPG, I did routinely play out the tactical starship battle portion of the game with my friends. I’m having flashbacks. I played, and loved, Traveler (http://en.wikipedia.org/wiki/Traveller_%28role-playing_game%29) – more than I enjoyed D&D, in fact, although I did have a little dice envy since Traveler uses only D6. I recently dug out my old books for my 9 year old, who has got into it a bit. Forget designing dungeons – how about whole star systems? 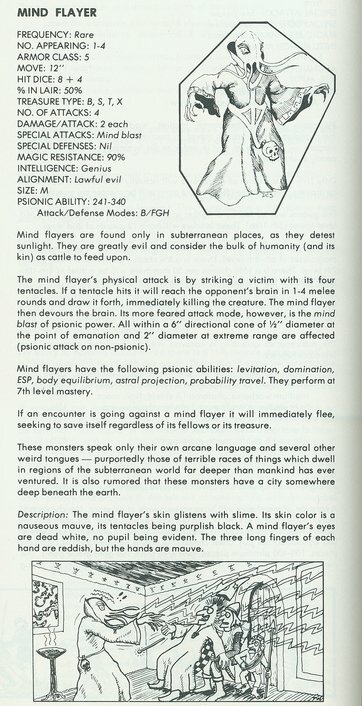 The Vrusk’s were cool, but when it comes down to it there was nothing like the Mind Flayer in Star Frontiers (or the Lurker Above for that matter)!